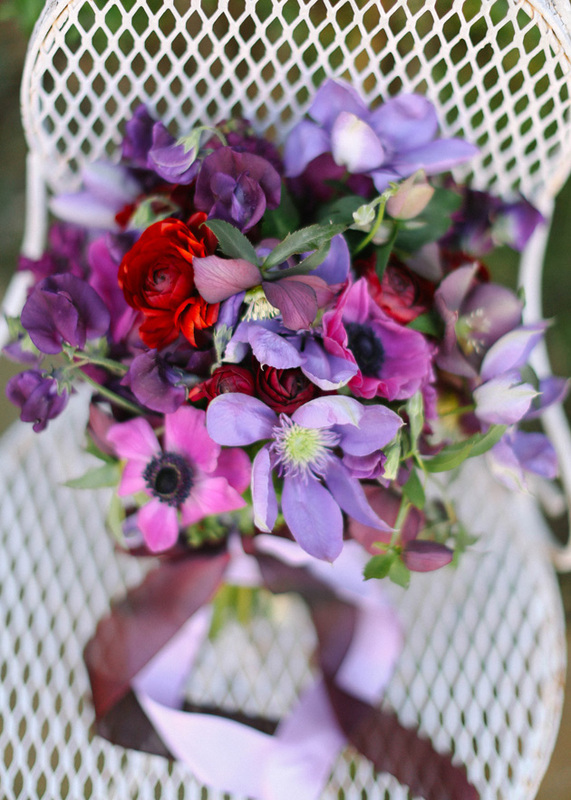 I layered two ribbons, a gauzy purple/red ribbon over soft lavender. 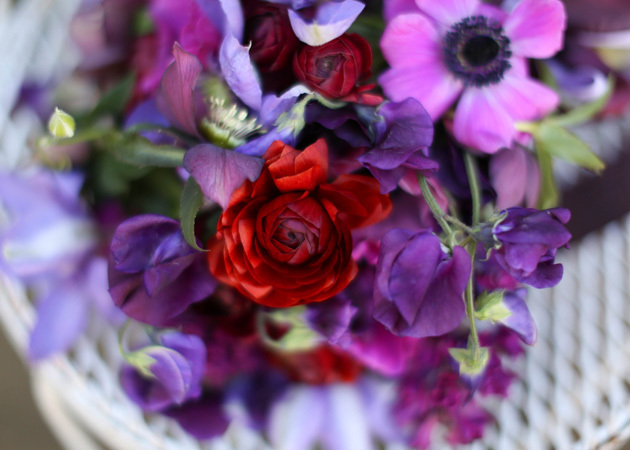 Deep red ranunculus were contrasted against dark purple sweet pea. Begin by placing 3 flowers in your hand and then adding more flowers, going around the bouqet to maintain a round shape. Finish by winding stretchy floral tape around your stems to keep them together. Then wrap lavender ribbon to cover the tape, and pin with a pearl headed pin to hold the ribbon in place. 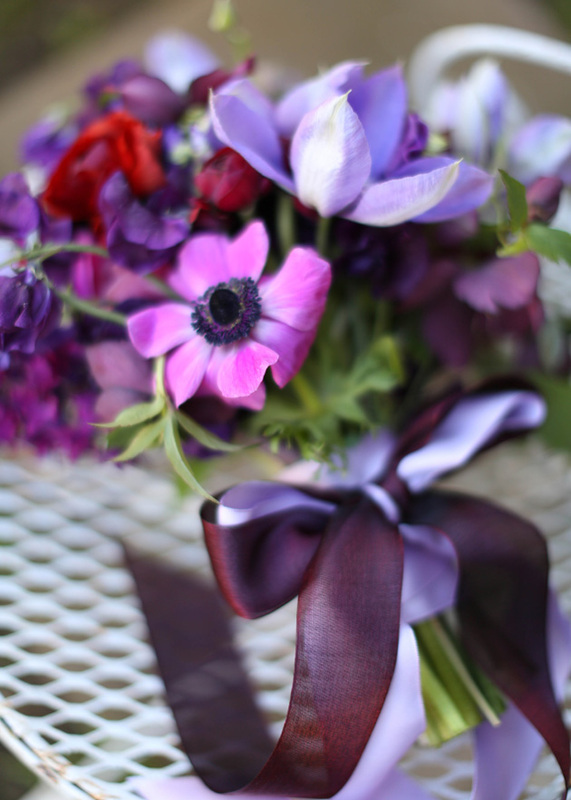 Then cut two lengths of ribbon, lavender and purple/red, and wrap around the bouquet and tie into a bow. And now you have a perfect spring bouquet! 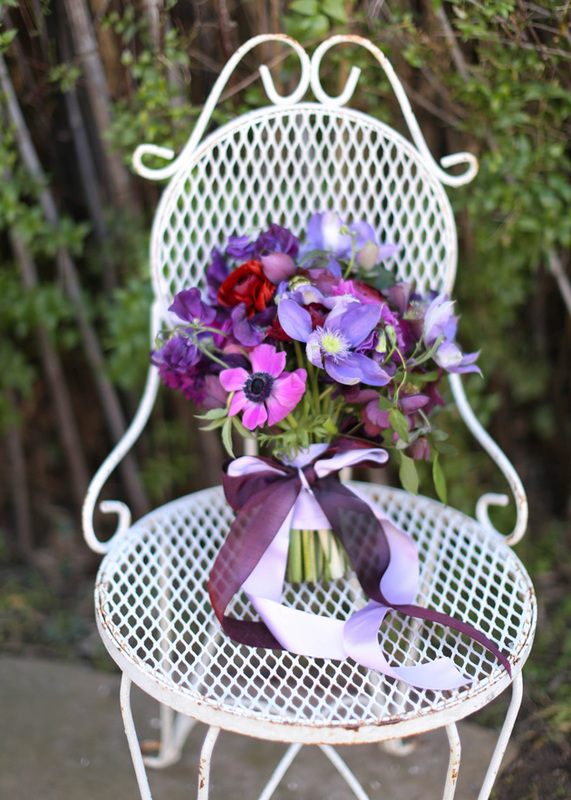 To see more bouquet arrangement tips & ideas click here. To purchase flowers go to Fabulous Florals. in Vienna in 2003, however was recovered in 2006.